Eurodollar is still being corrected. 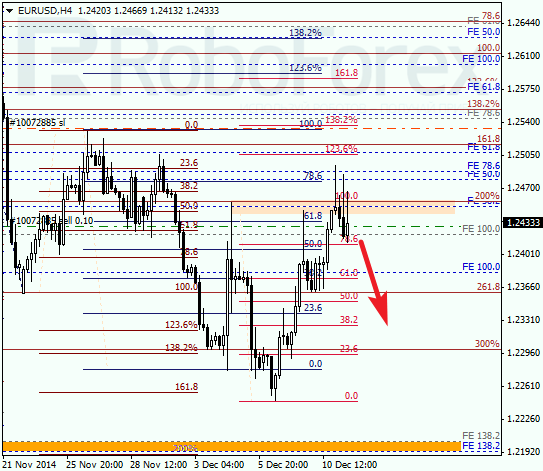 By now, the price has already tested retracements 61.8% as well as several local retracements three times. If the market rebounds from them again, the pair may resume moving downwards. At the H1 chart, the predicted target area of the current correction is confirmed by several local retracements, which make this area even more important. Considering that the price has already rebounded from them three times, the pair may start a new descending movement towards the group of lower fibo-levels. In case of Franc, the correction has reached retracement 61.8%, from which the pair may rebound again. Today I’ve opened a buy order with the stop loss below a local minimum. The main target is still the group of upper fibo‑levels. 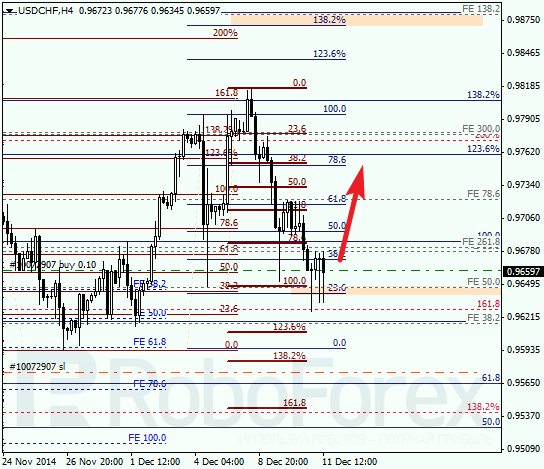 As we can see at the H1 chart, retracement 61.8% is confirmed by several local retracement, from which the pair is trying to rebound again. 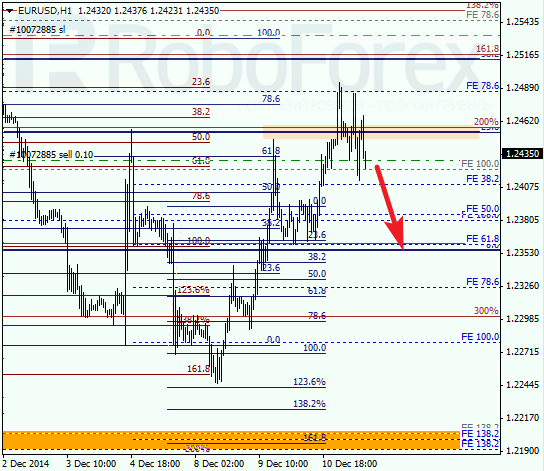 If later the price is able to stay above retracement 38.2%, bulls will return to the market.